I always feel a little out of my element talking about UK hip-hop, be it grime or otherwise. Now I'm fairly certain some of that is obvious in the few reviews where I've discussed the genre, but I'll freely admit some of it comes from just not having the same connections or context to speak on an artist who is building serious traction, and so when I started hearing that Little Simz was racking up some serious critical acclaim for her third album, I was dejectedly preparing myself for another act I'd appreciate but likely not love to the same degree as fans across the pond. And that didn't happen with Islington MC Little Simz. Yeah, colour me intrigued, but in checking out her 2015 debut album A Curious Tale Of Trials + Persons, I found a lot that really gripped me, from her strident and assertive delivery, a commitment to real hooks and bars that managed to bring in a lot of striking insight, and production that hit the balance between icy and catchy as sin to pull me in. And while I was a little less enthused with 2016's Stillness In Wonderland - despite a fantastic stretch of great tunes midway through it does meander a little more than it should and not all the experimentation connects - hearing that GREY Area was her most focused and hard-hitting project to date and seeing real acclaim from hip-hop heads from both the U.K. and stateside alike made me want to find time to check this out, so what did we get? So here's the frustrating thing: do you ever have those projects where you absolutely understand why it's getting the critical acclaim it is in terms of structure or content or themes or delivery and from a purely intellectual standpoint can appreciate and celebrate it, but at the same time on a more personal level acknowledge that it's not quite resonating in the same way? Yeah, for the past two weeks of listens that's been my experience with GREY Area - it's certainly really damn good, likely even great thanks to its lean tightness and diversity of sound and clarity of focus that was sorely lacking on the last project... but at the same time I can't jump on the hype train with this one and call it one of the best hip-hop albums of 2019, at least not yet. And what's so damn frustrating is that I really wish it didn't feel so simple to pinpoint the issue, but in truth even a dozen plus listens later I'm still circling back to the same issue: a lot of the keyboard, drum, and vocal production choices just don't work for me nearly as well as I was hoping. Let's start with the vocal mixing and just a minor pet peeve of mine: when you have a rapper with such presence and intensity as Little Simz does, it's a really cheap trick to slap a blown-out, lo-fil filter onto her vocals, and yet whenever this project seems like it's on the cusp of truly sounding visceral, that's exactly what happens, with 'Boss' being the most obvious and early culprit but 'Offense' and 'Venom' aren't far removed - which is really damn annoying because 'Boss' has that killer bassline and 'Offense' has those strings embellishments that add an elegant flair to Little Simz' killer instincts, a natural juxtaposition that can work wonders as the album progresses. But that takes us to the drum lines, which absolutely have punch, but can also feel a little bereft of impact - but given how hard the tone can knock, you expect a bit more body. And while that's an issue with a lot of the synths as well, the larger issue there is just the choice of tones: oily, unnaturally gated, more texture than direct melody, they're clearly here to contribute to a dirty sizzling feel that matches the lean meanness of the album - but maybe a little more natural, analog body would have helped. Hell, maybe that's the root of things: when you compare these moments to the more lush, arranged production behind 'Selfish' with Cleo Sol, or the deeper guitar tone backing 'Wounds' opposite Chronixx's mournful hook or the smoldering bass tone with the more naturalistic drums on 'Therapy' or the more lush twinkles around 'Flowers' courtesy of great soulful flutters from Michael Kiwanuka and then go to the oily clanking of 'Sherbet Sunset' or how canned and weedy the Asian-inspired melodic progressions feel on '101 FM' or the gurgling sputters around 'Pressure' with Little Dragon and especially 'Boss', it's hard not to feel less like we're seeing multiple sides of a messy situation and more that corners were cut in production to amplify an edge we already know is there, especially if you're coming from the higher-concept potency of A Curious Tale Of Trials + Persons. 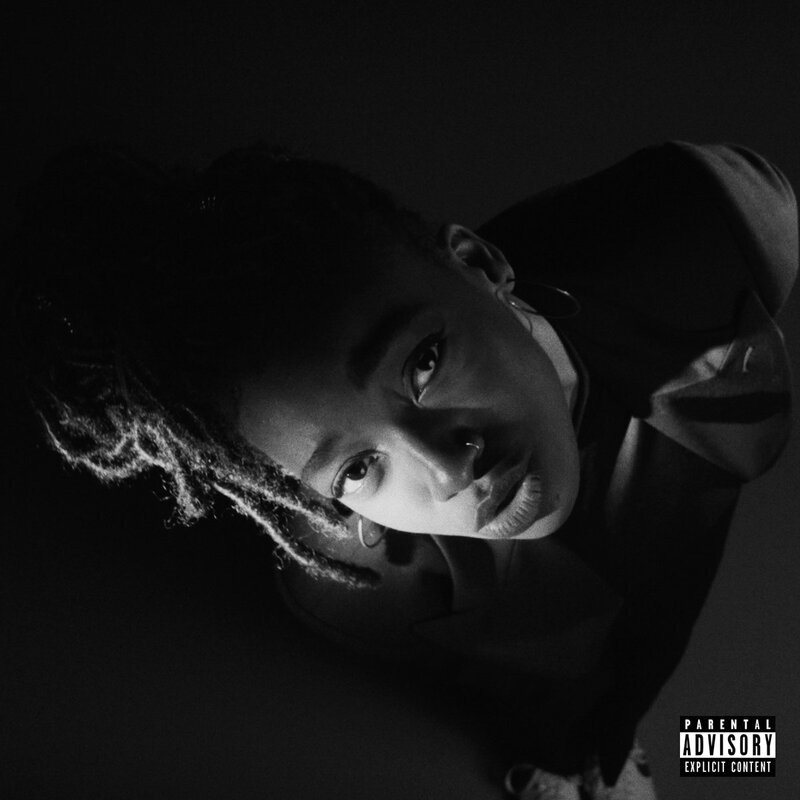 And that's the other thing: production quibbles aside, Little Simz doesn't exactly drop much that demands deeper analysis: she's a vicious spitter in terms of constructing her rhymes who might not always be the most melodic or expressive but can leverage real emotional intensity both in terms of rage and genuine regret. And while there is more going on between the lines on most of these songs, it's hard to avoid how if you're just looking for Little Simz to go off to either reassert sheer dominance amidst many of her male counterparts in U.K. hip-hop, blast back at assholes who broke her heart, or do a deep dive into the messy, conflicted emotions she's been trying to suppress, this album absolutely delivers. Now I'll freely admit I did find myself gravitating to the tracks that bring more complexity - 'Selfish' is a fine example of this, delving into the flipped relationship dynamics where her success is handily eclipsing that of her partner and she's asking he rise to her level and not the other way around, and 'Wounds' not only delves into the systemic issues that drive young black men to the streets, but also the women who make the choice to stand next to them - but all across the album she's got some great lines like on 'Offense' - 'Jay-Z on the bad days, Shakespeare on the worst days' is a loaded one, indeed! And yet it's some of that flair I feel may have been sacrificed to exist in this curdled, morally ambiguous tone that seems to be hemming Little Simz on all fronts, even if it might be reflective of her mind state, which she questions on 'Venom', denies vehemently on 'Therapy' but seems to wearily acknowledge on 'Flowers', especially as she notes how she could be a little too ready to take the blame and fall hard, a depressing tendency to acknowledge even as her success grows and grows - hell, as revealed across 'Pressure' and especially 'Sherbet Sunset', he cheated and left her behind, and the mingled sense of guilt and righteous fury is a tough one to untangle. It does lend the album a good sense of lonely tragedy in its ending, especially with 'Flowers' leaving her emotionally at her lowest but with the world throwing accolades at her feet for the success she's earned - a Pyrrhic ending, but absolutely a good one. And that the thing: I can absolutely respect the arc and skill and emotionality behind this project, and while the sequencing did take a while to grow on me, I absolutely see how an album this lean and focused would wow both critics and the fans desperate to see Little Simz return alike. I just wish some of the production choices had resonated more consistently or the best hits had the same sort of punch as her best songs from the last two albums. But again, if I'm nitpicking this much and there's precious little to really criticize, for the most part I really like what I have here... so I'll lean on the positive and give this an extremely light 8/10. Absolutely recommended and I almost guarantee more folks will love this given how much widespread critical acclaim it's received, maybe just not as much for me - but hey, when it comes to this kind of U.K. hip-hop, there might be an inroad for me to like more after all, we'll see.